Home Politics PRESIDENT BUHARI'S VICTORY IS VICTORY FOR ALL NIGERIANS – NDDC Boss, Brambaifa. PRESIDENT BUHARI'S VICTORY IS VICTORY FOR ALL NIGERIANS – NDDC Boss, Brambaifa. Ag. 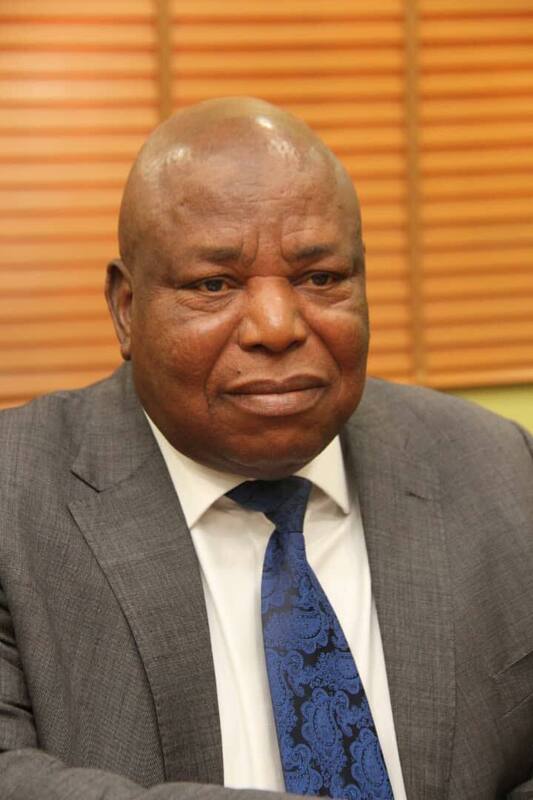 MD of NDDC, Prof. Nelson Brambaifa. Prof. Brambaifa said that President Buhari has remained focused on his change agenda to strengthen governance and tackle corruption, establish food security across the nation, improve healthcare efficiency, improve national security and protect lives and property, as well as rebuild infrastructure and create jobs for all Nigerians. The NDDC boss stated that "it was important to note that President Buhari has shown commitment towards the sustainable development of the Niger Delta region," adding that, for the first time since its establishment, the Commission was receiving the full statutory financial contribution of the Federal Government because of President Buhari's determination to rebuild the region." Prof. Brambaifa stated: "It is also important to recall that it took President Buhari for the Federal Government to begin to repay over N1.8 trillion owed NDDC since its establishment, so that more funds would be available to discharge our mandate, as well as our obligations to our contractors. "It took the decisive action of the Federal Government, under the direction of Mr. President, to help restore peace, security and social stability in the Niger Delta. Mr. Vice President, Prof. Yemi Osinbajo, led a region wide interaction with the Pan Niger Delta Forum, PANDEF, and major stakeholders in the region and the peace we enjoy today is the result of his strategic intervention," he added. He said that the victory of President Buhari is a victory for all Nigerians, particularly the people of the Niger Delta region, stating that "it affirms our confidence in President Muhammadu Buhari's determination to give all Nigerians a government which addresses their needs and bolsters our shared commitment to making the Niger Delta, in particular, a region which fulfills the expectations of the people." Prof. Brambaifa declared that the people are expectant that "the next four years will usher in a better country, under the leadership of President Buhari, which will improve their lives." He avowed that NDDC will work even harder to facilitate regional development and improve the living conditions of the people. He added: "We are happy to associate with you and will continue to work with you to fulfil your vision of a better country and your mission to make Nigeria and the Niger Delta a better place."